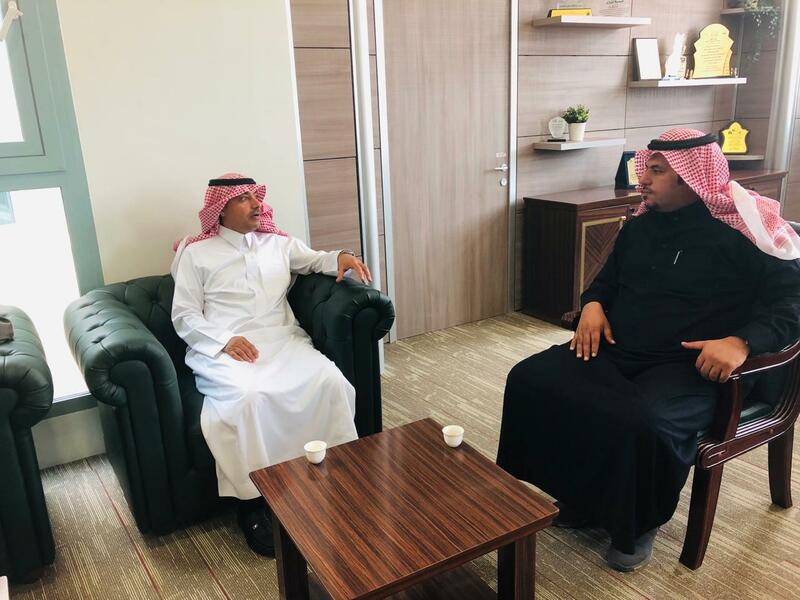 Dr. Abdullah Saqer Vice-Rector of Branches received on Wednesday 1/6/1440H at his office in Wadi Addawasir Dr. Thalab Shakra Dean Students Affairs. Dr. Thlab was accompanied by Dr. Abdullah Ashtaili Vice Dean for Student Services and Housing, Dr. Khalid Al-Assem, Vice Dean for Technical Affairs, Mr. Omar Al-Abdullah Director of the Deanship and Secretary of the Third Scientific Forum. At the beginning of the meeting, Al-Saqr welcomed the Dean of Student Affairs and his accompanying delegation, expressing his appreciation for the efforts of the Deanship of Student Affairs, stressing that the Deanship is an important partner in the success of the University's activities and programs. Pointing out that the timing of the meeting was appropriate to present and discuss the efforts of the colleges of Wadi Al-Dawasser and Al-Sallayil for activities and events, especially the activities of the third scientific forum students currently held at the university level. Al-Saqr said the role played by the Deanship in serving students and providing them with programs and activities in accordance with the national vision of the Kingdom of Saudi Arabia 2030. On his part, Dean of Student Affairs Dr. Thalab Al-Shakra expressed his thanks and appreciation to the Vice-Rector of the Branches for this reception. 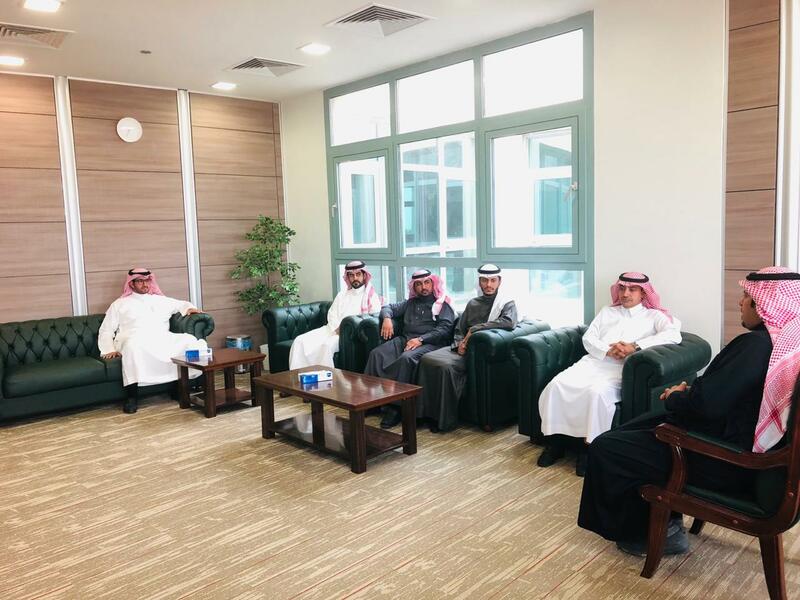 He hoped that the activities carried out by the Deanship of Student Affairs would achieve the desired objectives in accordance with the directives of Prof. Abdulaziz Al-Hamid Rector of PSAU.